When you’re striving for the most natural looking, beautiful brows, 3D tattoo eyebrows are the ideal choice. Using a multitude of ink colours, master practitioners will add natural dimension to each hair stroke, creating the illusion of real, perfect brows. 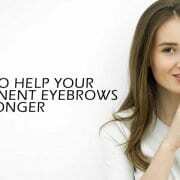 When you’ve invested in beautiful permanent eyebrows, you’ll want to keep them looking their best for as long as possible. 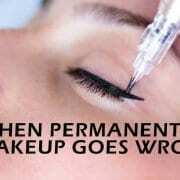 Most treatments last from one year up to three before you require a touch up appointment, and lots of factors come into play to determine how long they will last. The humble eyebrow has gone from being a negligible streak of hair above the eye to a major contender in the facial beauty stakes. 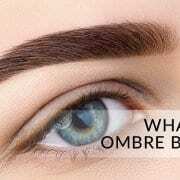 Once shaven off completely in favour of a thin pencil line, today’s trendy brows are thick, full and beautifully shaped. We all like to look our best as often as we can, and if there is a short cut to looking great all the time without the hassle of makeup application, surely it’s a no brainer – right? But when that short cut happens to involve a tattoo, suddenly it all sounds a bit drastic. 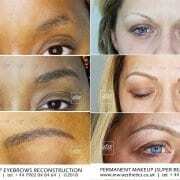 https://www.mw-aesthetics.co.uk/wp-content/uploads/2015/12/Eyebrow-tattooing-Is-it-really-worth-it.jpg 525 1000 Marek Waclawczyk https://www.mw-aesthetics.co.uk/wp-content/uploads/2018/10/MW-AESTHETICS-LOGO-2018d.png Marek Waclawczyk2015-12-13 13:06:122018-10-20 19:31:01Eyebrow tattooing - Is it really worth it?